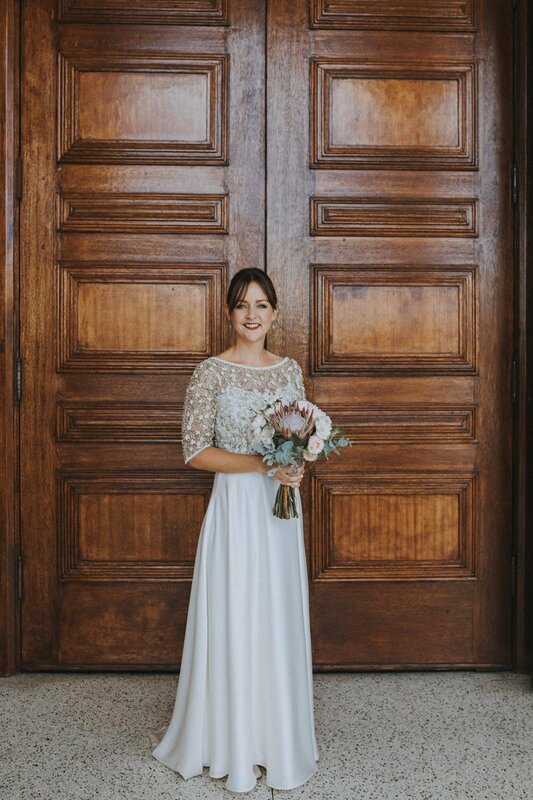 Our beautiful bride Clare married new husband Kon in January this year. 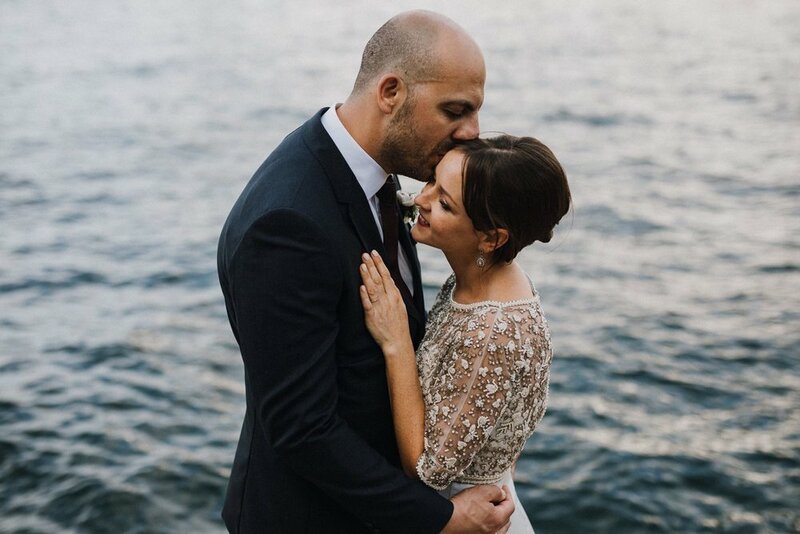 The couple wanted to keep their Sydney wedding simple and fun and Clare found us on her hunt for a dress to suit her relaxed wedding. 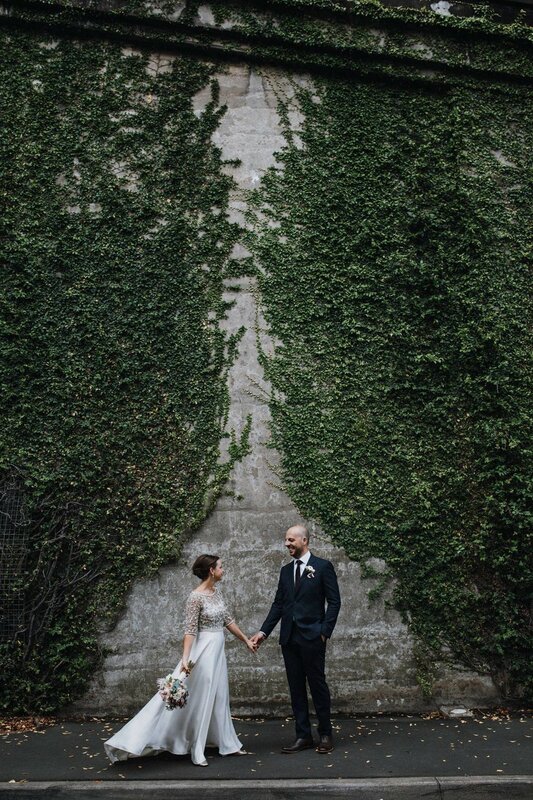 The Virginia Jacket worn over an ivory Thea slip proved to be the perfect choice for her. 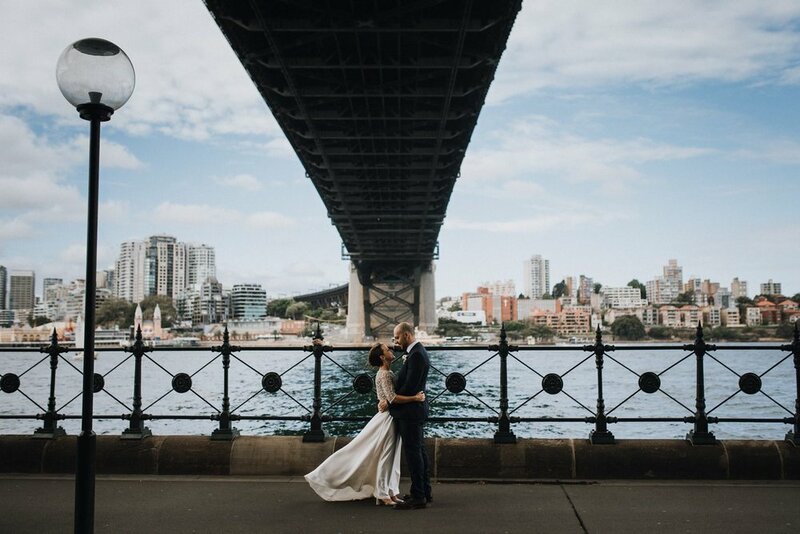 We love these dramatic pictures by Miko Meeks of Studio Something and Clare looks incredible in her dress! We're so thrilled to have been a part of their special day. Congratulations to the happy couple and we wish you all the happiness in the world!